Keeping your scuba skills current is an important safety factor for yourself, us, and your fellow divers. We want you and everyone you dive with to be safe, comfortable, and confident underwater. 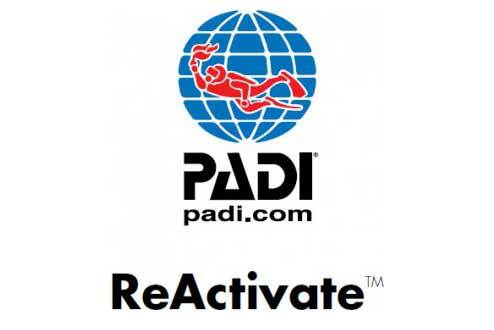 The PADI ReActivate program is perfect for those that have been out of the water too long. ReActivate is personalized for you: you conveniently review scuba concepts on your tablet, computer, or mobile device and then go diving with us on a morning 2 tank charter. You will also receive an updated card with your ReActivate date on it so everywhere you go people will know you value safety. You will need to be a PADI certified diver with a diver number. For those that got certified prior to numbers being issued please contact PADI directly to acquire a diver number. You will need your diver number to sign up for ReActivate. You will refresh basic diving skills and knowledge with ReActivate to bring you back up to speed to safely dive with a buddy or dive group. The knowledge portion of the class is done at your own speed. The in-water work will be conducted on one of our 2 tank morning charters.